Kvinna till Kvinna has supported women’s rights in Lebanon since 2005. In a challenging context, marred by instability and gender inequality, our partners combat gender-based violence, offer support to women and girls who have survived abuse, and advocate for the rights of all women living in Lebanon. In comparison with other countries in the region, Lebanon is usually considered to be a relatively favourable context for women’s rights. Yet women and girls in Lebanon still face significant obstacles to equal social, political and economic participation. Many struggle to acquire full and equal citizenship. Women are still not allowed to transmit their nationality to their children or spouse. Domestic violence and child marriage remain widespread. As of 2018, 11% of Lebanese girls under the age of 18 are married. The number rises to 27% for Syrian girls in Lebanon. Politically, women hold a mere 3,1% of parliamentary seats. Internal and regional conflict continue to cause instability in Lebanon. This has affected basic service provision and the functioning of parliament. In spite of this, women’s rights organisations have accomplished a great deal in recent years. 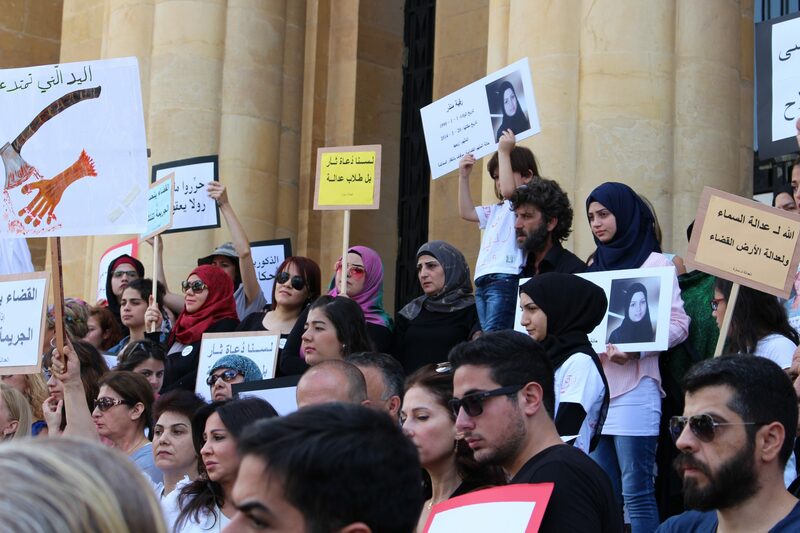 Since 2014, Lebanon has new legislation to protect women from domestic violence and MPs are currently discussing a law against child marriage. They have also repealed a decree that used to allow rapists to escape prosecution by marrying their victim. Our work in Lebanon is conducted from our office in Beirut. Oum Nour and her children fled Syria after her husband was killed and their house was attacked. “There was nothing but chaos,” she remembers. Today, Oum Nour works for our Lebanese partner LECORVAW, supporting women refugees and informing them of the rights. It is her first job ever.